If you’re looking for a strategy-based cooking game, then you should turn around and get out of this kitchen. 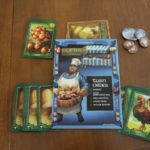 Chef Alfredo is a wonderfully thematic game, but it definitely omits certain ingredients like strategy and in-depth analysis. 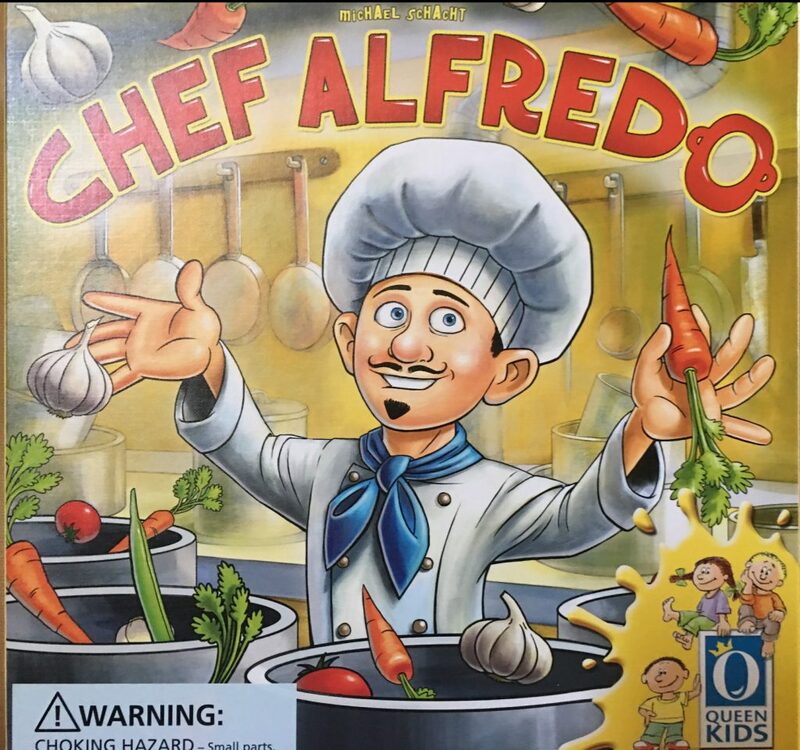 Chef Alfredo has some of the nicest components I have seen in a game targeted towards kids. 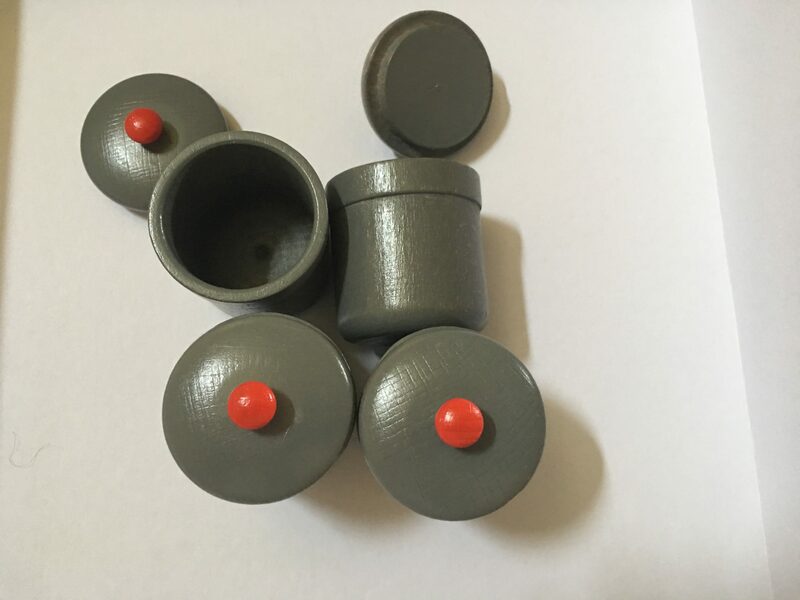 You get solidly made tokens and good-sized cooking pots. The gameboard is equally well-made but ultimately is only there to provide an additional thematic element; you can play the game just as well without it. 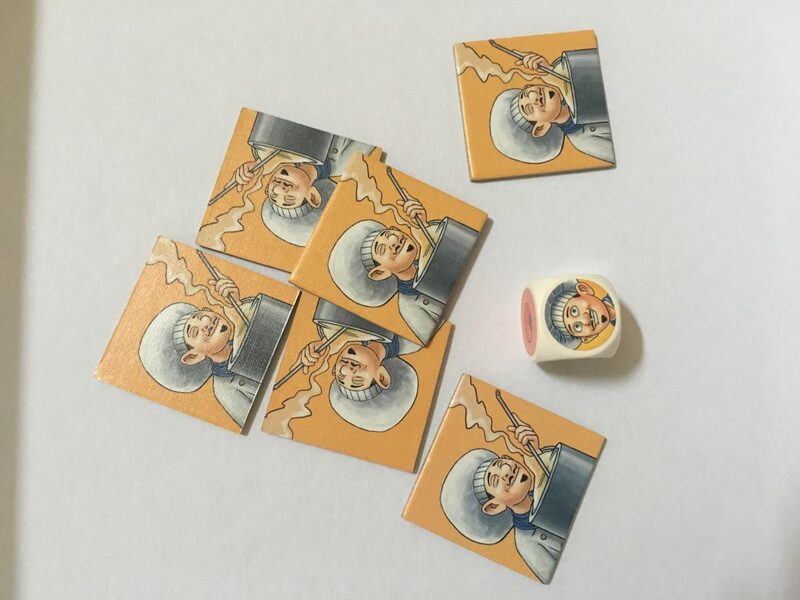 The size of the dice is just right for littler hands who will be playing the game. Game setup is quick and painless. Put each black vegetable token into a different pot. Then, place the pots in the center of table where all players can easily reach and see. Place a carrot token in a pot, ideally in the correct one! Place a bean token in a pot, ideally in the correct one! Place a onion token in a pot, ideally in the correct one! 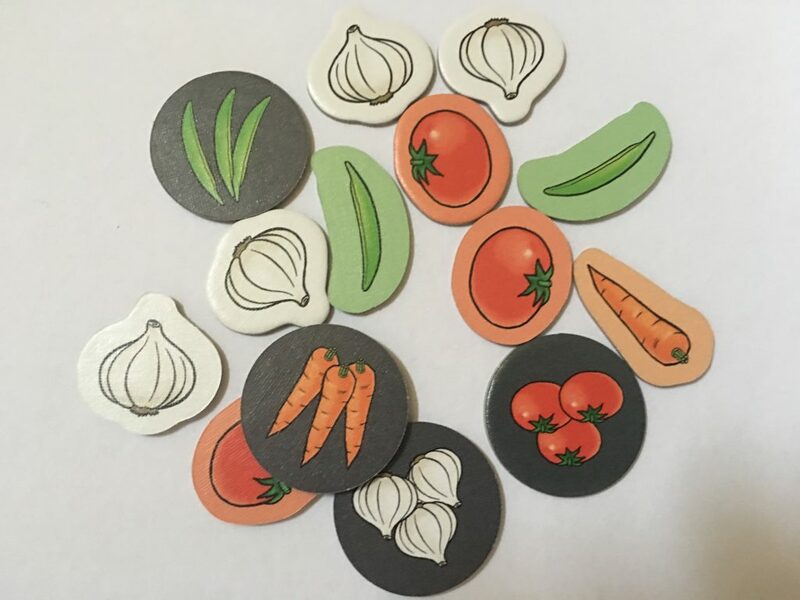 Place a tomato token in apot, ideally in the correct one! Ignore what your mom told you: Do not each these vegetables! If the player puts a vegetable in a pot, the player to his/her right has the option to challenge whether the vegetable was placed in its respective pot. If the player does not challenge, the active player receives a victory point. If the player does challenge, then the vegetable placement is checked. 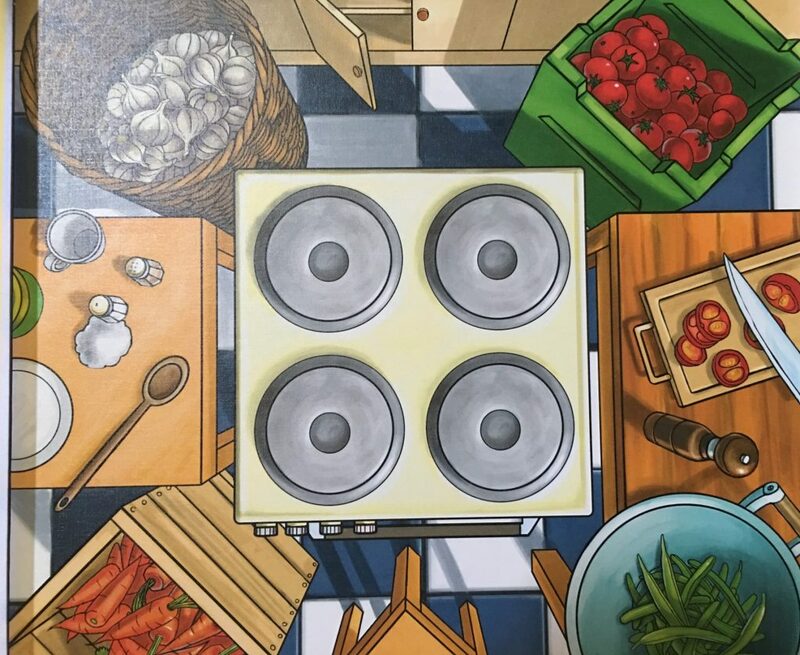 If the vegetable was placed in the correct pot, the active player receives a victory point and the challenging player loses his/her turn. If the challenge was successful, then the challenging player receives a victory point and then takes his/her turn. The game ends when all of the victory point tokens have been distributed. 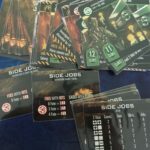 I am going to review the game from the perspective of a parent moreso than a hobby gamer. 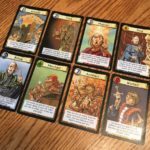 The game offers just enough depth to keep it interesting for adults but not so much that younger players will find it overwhelming. I’ve played it with my five-year old daughter five to six times now and only once have we not finished (the allure of Netflix became too much). In the completed games, the quick pace kept her attention and she was able to follow the ever-shifting pots (though, eventually, she would lose track, but then again, so did I occasionally). We have six or seven games that are dedicated to playing with the kiddo, and Chef Alfredo has stood the test of time so far. As of late, this and Richard Scarry’s Busytown: Eye Found It are the most commonly played games. 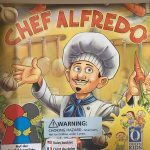 Chef Alfredo is not the type of game board game aficionados will want to add to their collection. 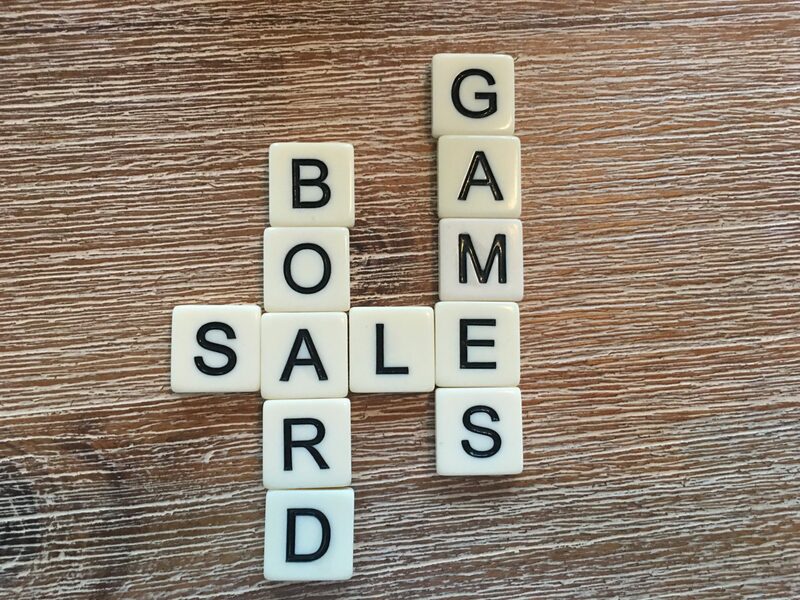 Instead, it is the type game parents should consider buying their children (5-9 years old in particular) as something to enjoy on family game nights and to help them improve their memory skills.